When: Saturday, September 15, 2018, 6:00 p.m. – 8:00 p.m.
Help support us and our veterans on September 15th. There will be delicious food and a fun show. The donation is $35. 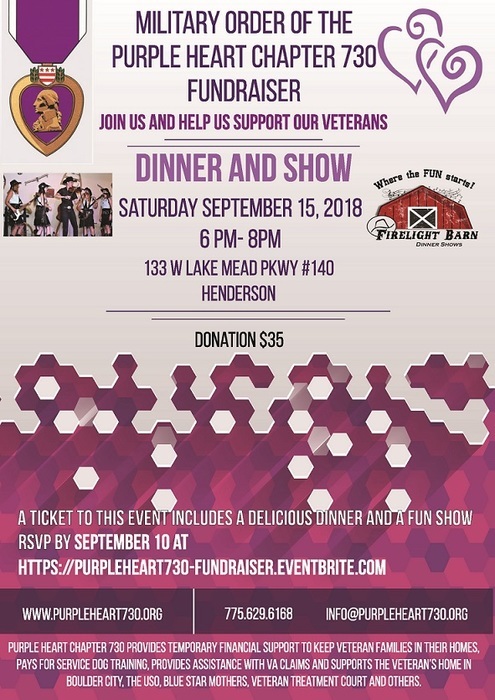 You can register for the fundraiser here: https://purpleheart730-fundraiser.eventbrite.com.